Providing reliable and consistent Internet access so that students and faculty can effectively instruct, learn, collaborate, and test online is a difficult challenge given today’s constraints on IT budget, staff, and other resources. There’s no denying the transformative impact of technology on education. More schools are embracing BYOD alongside the hottest new educational apps and tools (virtual reality anyone?) to harness the power of digital learning. Growing demands from K-12 network users for 24/7 uptime, exceptional Internet performance and better security are setting the stage for the optimal learning experience in schools. Combine these demands with the need to comply with the multitude of US regulations such as Children’s Internet Protection (CIPA), Common Core online testing, and data accountability rules and network management becomes more critical to K-12 operations than ever before. With a new class of Internet applications that are capable of circumventing existing security mechanisms such as firewalls, URL filtering and proxy servers, K-12 IT departments are challenged with ensuring security and compliance while also providing an exceptional Internet experience for both teachers and students. As a K-12 IT professional, keeping tabs on your network and all the apps, users and devices on it, is crucial for delivering exceptional Internet performance while also protecting data and users. With the growing trends and demands for K-12 bandwidth and compliance, it will be even more critical to have control and visibility over your network. Administrators, faculty and students are accessing the network with many different devices to consume an array of content from a wide spectrum of applications. Your network should support this combination of teaching, learning, study and recreational use without comprising security. If your school is on the BYOD train you must be able to protect your wireless networks and systems against inbound and outbound attacks as well as rogue mobile devices. If not, students can use their personal devices to access grades, tests or even take a peek at confidential information like payroll records. The abundance of new applications like Google Apps for Education, Pearson and YourTutor and mobile devices such as laptops, tablets, and e-readers are exploding in classrooms, which puts new stresses on the network. Are you confident that you have enough network resources available to support a successful digital learning program? You need to plan and assess your K-12 bandwidth needs and invest in a solution that will allow you to prioritize the applications and devices that are crucial to your curriculum so that teachers and students always have a reliable and consistent user experience. Snapchat, Spotify, Instagram, oh my. Whether it’s streaming media, online gaming or taking selfies – your students are using a wide-array of bandwidth draining applications throughout the school day. Controlling recreational traffic is imperative to providing a great Internet experience for all users. 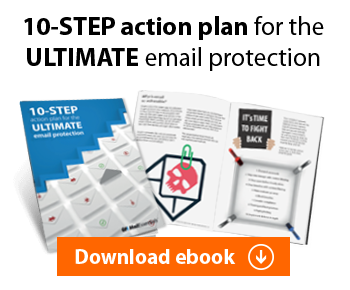 Protect your network resources for strategic learning applications and establish fair sharing and usage controls that prioritize educational traffic without hampering the recreational social experience. You’ve likely implemented a firewall and content filter to aid in enforcing appropriate use of the network and to prevent students from accessing prohibited content, but this just doesn’t cut it anymore. Given how smart today’s connected generation is, it’s likely that some students in your district are actively bypassing your web filter to access restricted materials without your knowledge. Regulations like the Children’s Internet Protection Act clearly state that your IT department is responsible for the online safety of your students, and funding such as E-Rate is often tied to your team’s ability to prove you are maintaining compliance and blocking access to content outside of your district’s Acceptable Use Policy. To maintain compliance and safeguard your students and your funding, your school district’s IT department must augment its existing content filtering strategy with a solution that is able to identify and block access to inappropriate sites and unsafe applications like VPN and TOR that bypass the tools you already have in place. Protect the valuable network resources you have by controlling how it is allocated by users, applications, devices and locations. You can ensure recreational traffic doesn’t impact the Quality of Experience of your critical applications by limiting or blocking unwanted traffic during peak school hours. Controlling wasteful consumption like incessant video streaming, online gaming and torrent downloads will help you get the most out of the bandwidth you have, maintain a great user experience for critical learning applications and avoid a costly bandwidth upgrade. 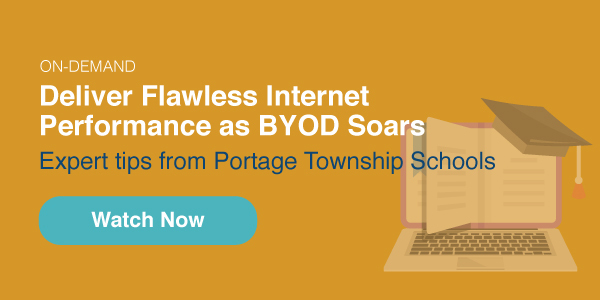 Learn more about effective K-12 bandwidth management from Portage Public Schools in this on-demand webinar!